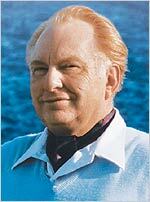 The full body of knowledge that comprises the Scientology religion is contained in more than 40 million of L. Ron Hubbard’s written and spoken words on the subject. In the following article, written in 1965, he explains the philosophy behind this massive body of work. Perhaps nothing better illustrates why millions of people around the world consider they have no greater friend. The subject of philosophy is very ancient. The word means: “The love, study or pursuit of wisdom, or of knowledge of things and their causes, whether theoretical or practical.” All we know of science or of religion comes from philosophy. It lies behind and above all other knowledge we have or use. For long regarded as a subject reserved for halls of learning and the intellectual, the subject, to a remarkable degree, has been denied the man in the street. A philosophy can only be a route to knowledge. It cannot be crammed down one’s throat. If one has a route, he can then find what is true for him. And that is Scientology. Know thyself ... and the truth shall set you free. Therefore, in Scientology, we are not concerned with individual actions and differences. We are only concerned with how to show man how he can set himself free. Suppression and oppression are the basic causes of depression. If you relieve those a person can lift his head, become well, become happy with life. And though it may be unpopular with the slave master, it is very popular with the people. Common man likes to be happy and well. He likes to be able to understand things, and he knows his route to freedom lies through knowledge. Therefore, since 1950 I have had mankind knocking on my door. It has not mattered where I have lived or how remote, since I first published a book on the subject my life has no longer been my own. I have seen much human misery. As a very young man I wandered through Asia and saw the agony and misery of overpopulated and underdeveloped lands. I have seen people uncaring and stepping over dying men in the streets. I have seen children less than rags and bones. And amongst this poverty and degradation I found holy places where wisdom was great, but where it was carefully hidden and given out only as superstition. Later, in Western universities, I saw man obsessed with materiality and with all his cunning; I saw him hide what little wisdom he really had in forbidding halls and make it inaccessible to the common and less favored man. I have been through a terrible war and saw its terror and pain uneased by a single word of decency or humanity. There have been many wiser men than I, but few have travelled as much road. And so there came a further blow ... I was abandoned by family and friends as a supposedly hopeless cripple and a probable burden upon them for the rest of my days. I yet worked my way back to fitness and strength in less than two years, using only what I know and could determine about man and his relationship to the universe. I had no one to help me; what I had to know I had to find out. And it’s quite a trick studying when you cannot see. I became used to being told it was all impossible, that there was no way, no hope. Yet I came to see again and walk again, and I built an entirely new life. It is a happy life, a busy one and I hope a useful one. My only moments of sadness are those which come when bigoted men tell others all is bad and there is no route anywhere, no hope anywhere, nothing but sadness and sameness and desolation, and that every effort to help others is false. I know it is not true. If things were a little better known and understood, we could all lead happier lives.